I'm about to have a 2 inch Rough Country leveling kit installed on my truck. What does raising the front end 2 inches do to the "Off Road Status" section of the dash? 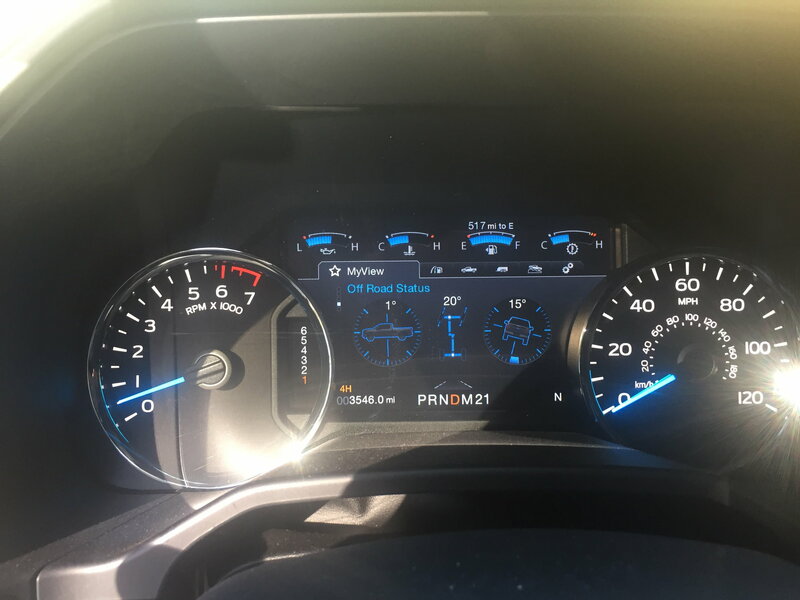 On my 2019 Lariat FX4, I have a dash selection that shows me amount of degrees I'm pointing front to rear and side to side. I'm sure a lot of you have it or have seen it. When my front end gets raised, will it throw that off? Did Bilstein's at 2.1" and there was no change to the screen you're referring to. I did 2.5” and still read 0 on a level road. Wont change it at all, it's a pretty numb system that's not very accurate to start with. if Ford was serious about showing the slope of the vehicle they would have put it in % not degrees. Mine's accurate: it shows zero degrees when I'm on flat ground. And I don't have any reference slopes to try. I've used the gauge, but I've never broken out a protractor level on any slope to check it. If you mean "precise," then... maybe. When I leveled my truck, I used my wheelbase and effective lift to calculate what should have been around a 1.5° change in approach angle that wasn't reflected in the gauge. I prefer degrees for these gauges. What would percent show... % of what? Percent grade? Maybe for the pitch, but not for the roll; and it wouldn't make sense to display them in different units. 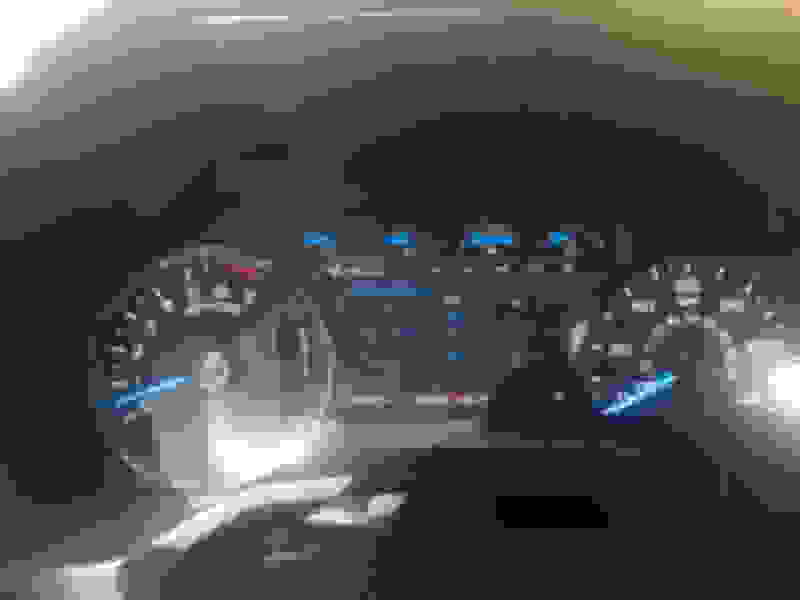 Last edited by DeltaNu1142; 02-12-2019 at 02:59 AM. Outside of road tractor drivers, who uses grade/slope? On the trail, no one I have ever met. Max angle of inclination is always in degrees, converting to grade/slope is just extra work. I did a 2" RC leveling kit and there was no change to the off road status. A 2" rise over a 145" wheelbase is only 0.79º, and that's only if the kit actually gave you 2" of lift. Some mfg's build their kits to actually provide 2" of lift after the vehicle settles on the suspension, but most build their kits to add 2" inline with, or as part of the strut/spring, which results in about 1.8" of lift. I don't know how 'sensitive' the inclinometer is, but leveling the truck and seeing no change to the inclinometer is not a sign of that it isn't. My driveway has a 7º grade per my level, and the truck agrees with it. Seems accurate enough for typical truck useage, not going to build a skyscraper using the truck as a level. Anyone using Motorcraft Full Synthetic Oil?